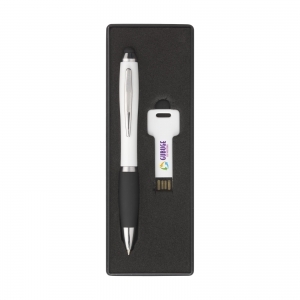 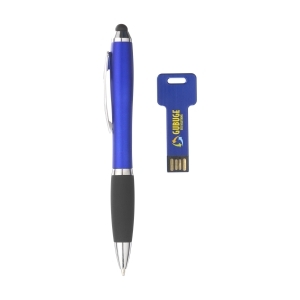 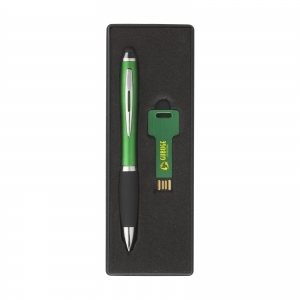 2-piece gift set: consisting of a chic, blue ink ballpoint pen with rubber top/pointer and turn-click system and a metal USB stick (version 2.0) with a capacity of 8 GB. 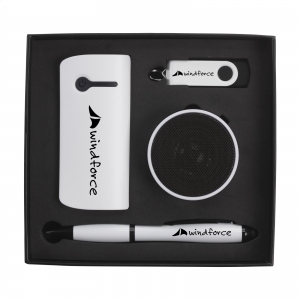 Each set in a gift box. 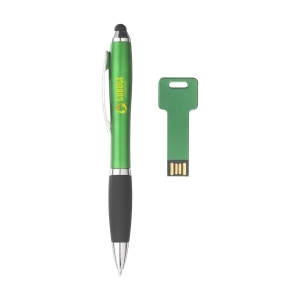 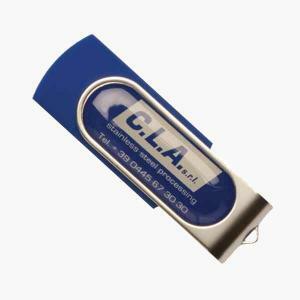 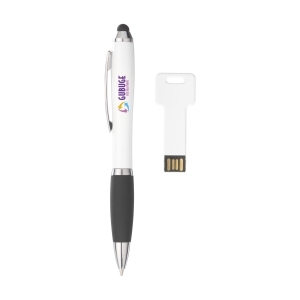 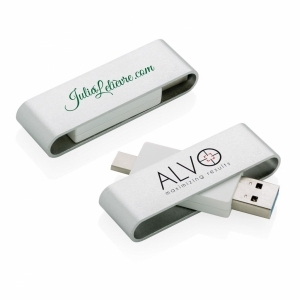 To order an unprinted USB Giftset 8GB from stock, please complete the details below.